]In our commitment to stay true to our vision of becoming your number one go-to source for all things related to beauty, we’ve come up with this list of the top performing toners in the market today and selected the best toner for oily skin. The products mentioned in this list were selected based on their capability to control oil, reduce the chances of breakouts and improve your overall skin health. 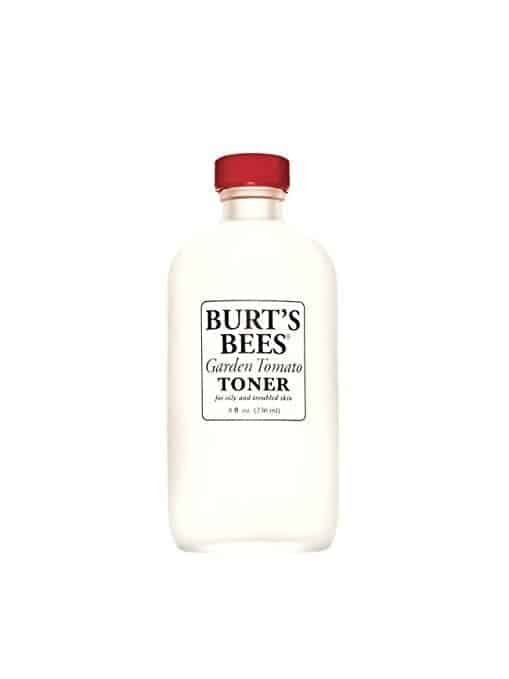 Burt’s Bees Garden Tomato Toner is one of the most surprising toners for oily skin. It has tomato extracts and other natural ingredients to keep your skin looking matte. It does a great job in removing traces of makeup, too. 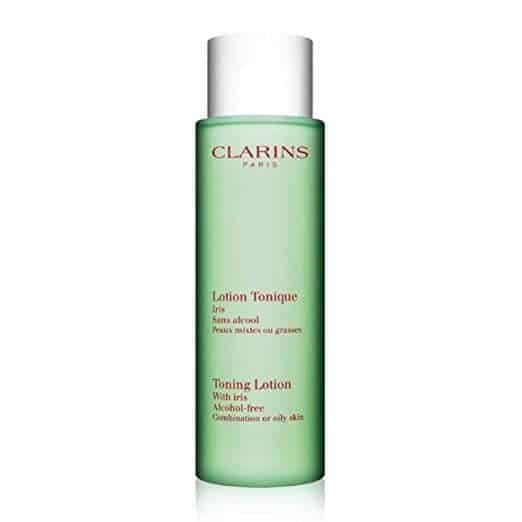 Containing no alcohol, Clarins Toning Lotion is packed with plant extracts to leave your skin matte. It's water-based and doesn't come with the usual stinging sensation you can get from other toners. Amara Organics Balancing Toner has ingredients that will benefit your oily skin. It's made from completely natural ingredients that won't harm your skin. Dickinson's Original Witch Hazel Pore Perfecting Toner contains all natural witch hazel. Poppy Austin 100% Pure Rose Water Facial Toner leans more on the expensive side but promises to give you nothing but total rose water goodness. It can help in unclogging your pores and making them less noticeable. Burt’s Bees Garden Tomato Toner has a unique scent. If you open it for the first time, you’ll smell the fresh scent of tomatoes- and I’m not even joking on this one. Despite this unique feature, I’m amazed that it actually is a 99.4% natural toner. It relies on cucumber, parsley and tomato extracts to keep your skin’s shine at bay. It also has fruit acid complex to provide gentle exfoliation. This toner is a great option if you are looking for something that will really leave your skin matte. It’s also good in removing those deep seated dirt and makeup residues on your skin. For people struggling with oily skin, these features are considered must-haves. One downside of the product is that it can sting your eyes so make sure that you don’t use it anywhere your eye area. Clarins Toning Lotion is alcohol-free. If you have an oily skin that’s also sensitive, this one’s the best pick for you. The toner has iris and sage extracts to purify your pores and bring back balance to your skin’s natural oils. As a result, you get radiant-looking skin after use. One thing I find nice about this product is that it won’t make you feel greasy. It feels light on the skin and doesn’t sting. Although it helps control oil and tone pores, you can’t expect the product to dramatically minimize their size. It picks up traces of dirt and oil well and these benefits can help you avoid getting nasty breakouts. Amara Organics Balancing Toner made it to this list because of its witch hazel and vitamin C content. Witch hazel has an astringent property and can get rid of excess oil well. Aside from that, this ingredient can also decrease water loss so that your skin won’t have to compensate from feeling dehydrated. Vitamin C, on the other hand, has antioxidant properties to protect your skin against free radical damage. As for the product, you’ll love that it has 100% natural ingredients. This means your skin is safe from preservatives, chemicals and other harsh ingredients that can break your skin’s barrier. It contains no alcohol, too. This toner is a bit different from the rest since it comes in a spray bottle. Just a few spritz and your skin will feel refreshed, hydrated and rebalanced. If you aren’t comfortable with spraying toner on your face, you can still use a cotton pad for your convenience- but that won’t feel as exciting, right? If there’s one issue you have to be prepared with this product is its organic scent. Although it isn’t long-lasting, you may still find it unpleasant. Dickinson's Original Witch Hazel Pore Perfecting Toner, as its name implies, relies on the goodness of witch hazel to minimize your oil production. As a pore refining toner, this one does a great job in picking up excess oil, makeup residues and dirt. You’ll love that it can clean your skin without overdrying it. It does, however, carries an earthy scent which may throw you off, particularly if it’s your first time to encounter the product. Despite the smell being strong, it actually fades away after a while. As for effects, it works well in refining the pores but it doesn’t deliver great results in minimizing the pores. Poppy Austin 100% Pure Rose Water Facial Toner is made from 100% pure and distilled Moroccan Rose Water. It’s a great toner for all skin types but works exceptionally for oily skin. Rose water can refine pores by lifting impurities and dirt clogging them. Aside from that, it also has tighten them for better oil control. As for the effects, you can get bright and supple skin after use. It also has a nice rose scent that can make you feel rejuvenated and refreshed. For its size, this one is a bit on the expensive side. However, for the benefits it promises, adding this toner on your beauty routine can give you more than your money’s worth. If you’ve ever felt baffled and confused about what toners are and what they’re supposed to do for your oily skin, you’re not alone. A lot of people actually don’t use toners because of the same reasons. For this article, let me classify toners for oily skin into two major classifications. First, let’s talk about toners based on application. Conventionally, toners are applied by cotton pads. Simply pour enough amount of the product on a cotton pad and dab it on your skin. This is a good way to remove the impurities your cleanser and makeup remover may have missed while prepping your skin for your serums and moisturizers. Aside from cotton pads, some toners can be directly sprayed on the skin. This is your best option if you are a frequent traveller since you won’t have to bring another item just for toning. Toners can also come in the form of a gauze facial mask. For this type, you’ll need to apply a toner soaked gauze in your face and let it sit there for a certain period. Astringents typically have alcohol content of 20% to 60%. This one works great for oily and acne prone skin since they help manage your pores’ size and oil production. Tonics have higher alcohol content. One of the best examples of this type is the orange flower tonic. Fresheners are the most gentle toners you can use for your skin. Instead of alcohol, most of the toners that belong to this type contain humectants such as rose water and glycerin. You can often hear a lot of beauty enthusiasts raving about how good using toners can be, especially for oily skin. But, what exactly makes them that great? When you have oily skin, the last thing you’ll want to happen is to make your pores more active. This is exactly why toners are necessary. Aside from decreasing the size of your pores, the right toner can also help unclog them to make you less prone to acne. With smaller pores, you can get more flawless skin, too. A skin that’s dehydrated and irritated tends to produce more oil as a way to compensate. Using a toner, particularly one with the right ingredients can make sure your skin won’t feel the need to do that. Toners can restore your skin’s pH quickly, especially if you always use soap for cleansing. By restoring your skin’s natural balance, you are also fortifying its natural barrier. The stronger this barrier is, the more resistant your skin will get against bacteria and the harmful minerals your tap water can deposit in its surface. Choosing the right toner for your skin type can be overwhelming but it shouldn’t deter you from using one. This is one of the reasons why we are presenting this roundup to you. Among the products on this list, we’re considering Burt’s Bees Garden Tomato Toner as the best toner for oily skin. We like that it has beneficial extracts to keep your skin matte and free from impurities. If you can get past its tomato scent, this is a product you shouldn’t miss in your must-have products for oily skin.